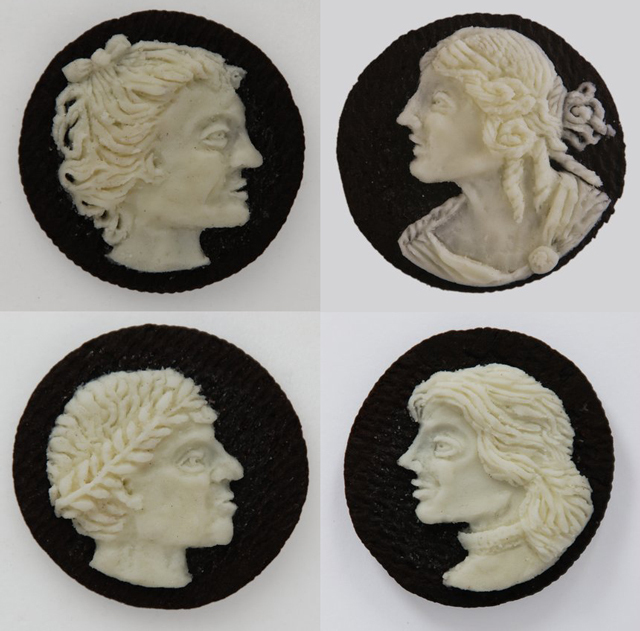 Somerville, Massachusetts artist Judith G. Klausner has been creating works of art inside Oreo cookies since 2010 for her “From Scratch” series of altered food stuffs. The series also includes toast embroideries, condiment wallpaper, “paper” dioramas made with processed American cheese slices and cereal cross-stitch samplers. To create the cameos, she uses “toothpicks, straight pins, and a balled-tip sculpture stick” according to a February 2011 interview with her on Boston Art Images blog.